Home | News | Aged Care Planning | What are my options to pay for Aged Care? What are my options to pay for Aged Care? There are numerous options available to fund your Accommodation Payment in Aged Care, & for some people, thinking outside the square can deliver impressive savings. Because the Accommodation Payment is based around a Lump Sum version called a RAD, most people think they will need to sell the home or use all their savings to pay the Lump Sum (RAD) & consequently they are concerned they won’t be able to afford their aged care, or for their spouse to be able to afford to live at home. You may be surprised to learn there are many alternatives that may be available to pay for your aged care accommodation or it may even be possible for the Government to pay it for you, but this will depend on your financial situation & domestic circumstances. Filling in the large Centrelink form will determine whether the Government will provide additional subsidy for your accommodation, & that form you fill in, can contain traps & pitfalls for the unwary, once it has been assessed it may be very difficult to change afterwards. Therefore getting expert guidance in this area may be critical. 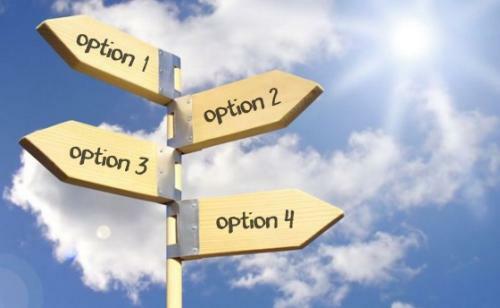 The decision to pay the Accommodation payment as a RAD or a DAP (daily rate) or a combination of these is only the beginning of the discussion, it goes much deeper than this to understand what alternatives may exist for you (given your particular circumstances) & what you choose may deliver a significantly different outcome. We had a client whose wife needed aged care at 57 years of age, & the Accommodation Payment at the Aged care facility was $590,000. They had more than this amount in savings & investments, but he was reluctant to use the investments as he was concerned that he would then have no income to live off, & he still had to run the household & pay bills. We showed him to pay the DAP (as he had planned) would result in a cash flow shortfall of around $15,000pa, & his savings would deplete quite rapidly. We showed him by using some of his investments to pay the RAD, meant in their case they would earn a great deal more pension (Age & Disability Pension), which more than made up for the loss of income from their investments, & as a result the cash flow shortfall became a cashflow surplus of around $9,000pa, & their savings would actually start increasing & this eased his financial concerns greatly. If you want know what options you have to pay for aged care, & how you will be affected financially, speak to Balance Aged Care Specialists, we have helped 12,000 people move into aged care over the last 15 years, it is all we do, so we are genuine specialists in this area.